A halal meat exporter owned by a convicted tax cheat collapsed last month owing more than $300,000 – and now liquidators need to offload a tonne of meat. Meatco NZ Ltd, which billed itself as one of the nation’s leading halal meat exporters, was placed into liquidation following High Court proceedings in Napier last month. At the date of liquidation, Meatco NZ was known to owe $235,803 to debtors but liquidator Chris Horton told Hawke’s Bay Today that amount owed to creditors had now climbed to $301,000, with one of those parties listed offshore. A liquidator’s report said the company owed debts to trade creditors totalling $43,000. “In addition, a further $92,498 is recorded as being owed on the company records,” the report said. Another $169,000 of inter-company debt was owed to parent company Meatco International. Horton said an assessment of the company’s stock assets found 1.3 tonnes of frozen lamb and mutton at a cold storage facility in Timaru. The Meatco website describes the company as “one of the New Zealand’s leading providers of the highest quality halal lamb and mutton products in the Middle East and South East Asia”. Prior to liquidation, the company had a registered office address, listed with the Companies Office, belonging to North Shore businessman Michael Stacker. Stacker, who was also the sole shareholder of the company, was a registered director of parent company Meatco International Ltd, which was registered to an address in Napier. 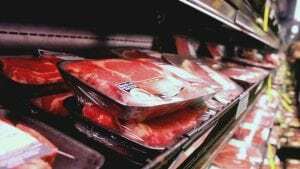 Meatco International was placed into liquidation on March 29 and liquidator Heath Gair said the company was thought to owe at least $138,000, including an undisclosed amount to a company in Hastings. “However, the liquidation is in its early stages and these amounts are subject to confirmation as we go through the process,” Gair said. Stacker, previously known as Husain Khalil Al Saffaf, was sentenced to home detention at the North Shore District Court in 2014 after telling his tax agent he had bought assets which he had not. In 2009 he was banned from being a company director for five years. The Ministry of Business, Innovation and Employment confirmed to Hawke’s Bay Today that Stacker was previously registered with Companies Office as a company director under the name of Husain Khalil Al Saffaf. For meat to be considered halal it must adhere to strict instructions put down in the Koran. The Islamic form of slaughtering animals or poultry, dhabiha, involves killing through a cut to the jugular vein, carotid artery and windpipe. Animals must be alive and healthy at the time of slaughter and all blood is drained from the carcass. During the process, a Muslim will recite a dedication, known as tasmiya or shahada. Anyone wanting the meat could contact Horton at Chris Horton and Associates in Auckland. « Opinion: Islam and cryptocurrency, halal or not halal?